The newest line from Rougois brings you innovative beauty. The stunning contrast between the shiny gold of the case and movement, the white accents on the dial, and the blue dual time hands is truly unique and is the first thing to catch your eye. 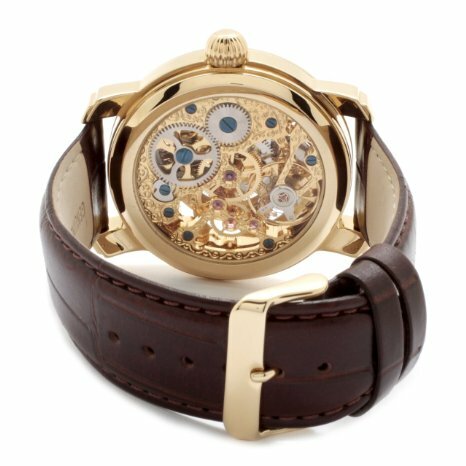 A closer look will bring to light the immaculate detail that is put into this one of a kind watch. 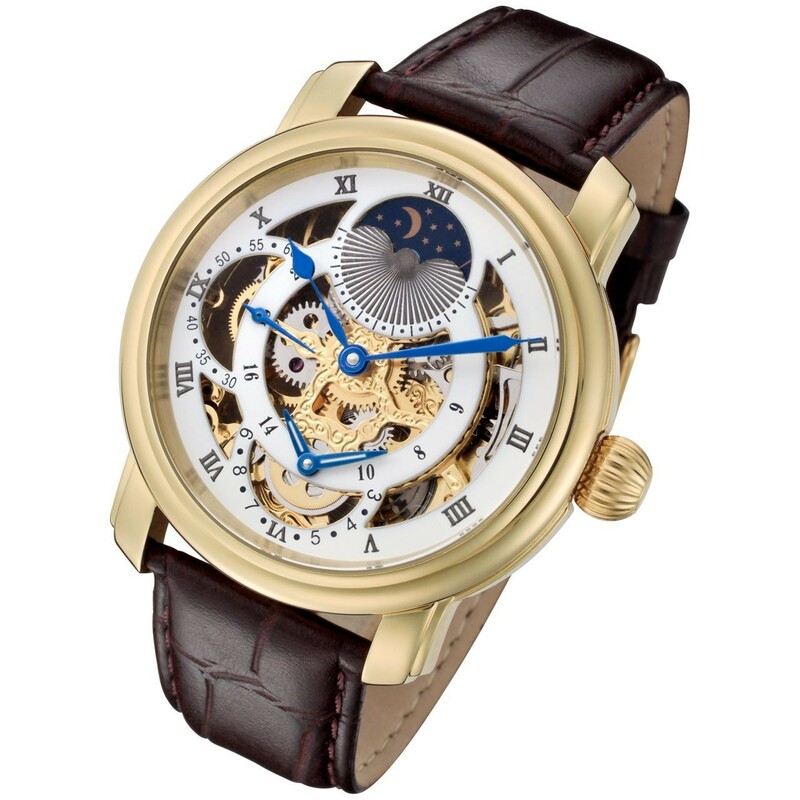 Roman Numerals decorate the large dial displaying the main time, while the secondary time dial is located directly below. The beautiful moon-phase dial on the top provides the distinction between AM and PM, and also contributes to the overall stylish detail of the watch. The dual time zone feature allows the ability to easily tell the time in two different states or countries. The blue seconds hand on the left is constantly moving, and features its own set of second markers.If you ever manage to take the watch off your wrist and turn it over, you will discover that the back of it is no less stunning than the front. The combination of the shiny gold and silver movement and the 14 colorful jewels will mesmerize you with intricate, eye-catching detail. The gold round crown features ridges, making it very easy to wind your Rougois when necessary. 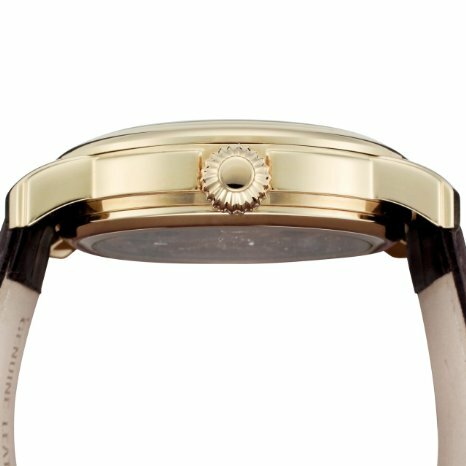 Finally, the high quality finish on the brown alligator-style leather band is the perfect compliment to the gold watch.